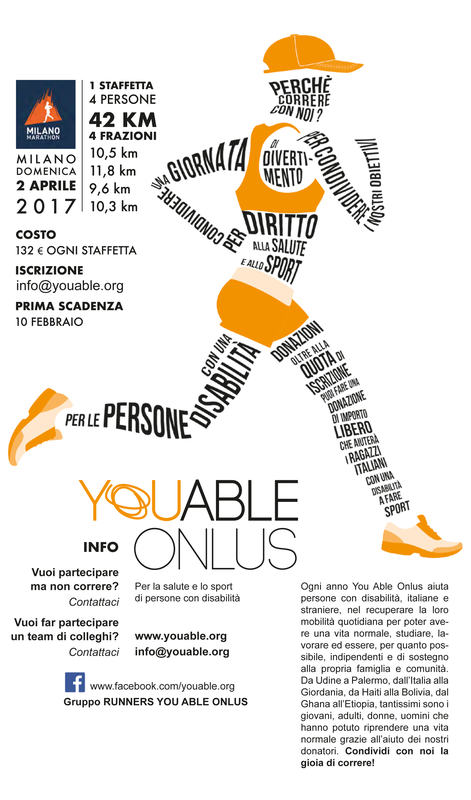 2 april 2017 – milan charity marathon – run with us! relay team of 4 people for 4 different legs: 10.5 km, 11.8 km, 9.6 km, 10.3 km. you are alone? we can let you join a relay. write the number of km you like to do.